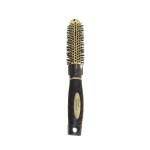 Brushes and combs are a necessity for any hair lover and stylist. 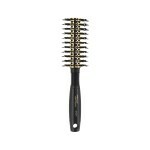 West Coast Beauty provides you with brushes and combs from the best brands available such as The Knot Dr., Cricket, and Framar. 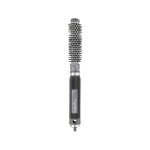 BaBylissPRO® Ceramic Circular Thermal BrushNylon bristles, ridged rubber handle for an excellent grip.Size: Medium, Large & ExtraFeatures & Benefits: Retains and distributes heat more efficiently Seals the outer cuticle layer, eliminates frizz, flyaway hair Moisture remains in the hair shaft Smooth, glossy hair ..
BaBylissPRO® Barber Comb - BES90BARUCC Penetrate deep into the hair and hold it in place. 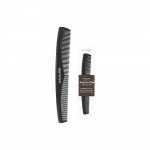 Allow a wider surface guide for the scissors or clipper. 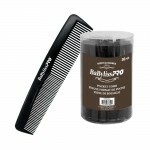 Size: 9" Features & Benefits: For clipper and scissor over comb techniques Polished teeth are gentle on hair and scalp Easy-hang handle ..
BaBylissPRO® Beard 2-IN-1 CombThick, rounded teeth for styling all types of hair while being gentle on the scalp.Features & Benefits: Ergonomic handle for comfort Lightweight plastic construction Short teeth on end of handle for tidying beards and moustaches..
BaBylissPRO® Finishing Comb - BES75BARUCC For smooth finishing for shear and clipper over comb techniques. 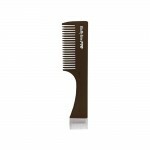 Size: 7.5" Features & Benefits: Wide and narrow polished teeth with round tips are gentle on hair and scalp Ergonomic slim design ..
BaBylissPRO® Flat Top Comb - BESTOPBRUCC For clipper over comb techniques. 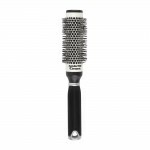 Size: 9" Features & Benefits: Textured handle to prevent sliding Flat, widely spaced teeth Ideal for easier clipper cutting ..
BaBylissPRO® Pocket CombSize: 36 pcs..
Dajuja Antique Nylon BrushRepresentative brush of DAJUJA WORLD. Antique series is made by special know-how, experience and discernment of DAJUJA. 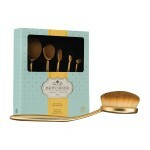 Antique Brush, the best brush which has classiness and function. 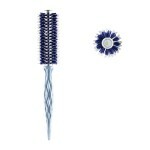 Dajuja Antique Nylon Brush applied better nylon then has heat resist and stronger strength of stability. 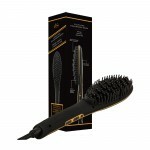 Revolutionary DUAL-V nylon bristle design allows for increased grip and styling co..
Dajuja Antique Speed BrushRepresentative brush of DAJUJA WORLD. Antique series is made by special know-how, experience and discernment of DAJUJA. Antique Brush, the best brush which has classiness and function. Revolutionary DUAL-V nylon bristle design allows for increased grip and styling control as well as providing a guide to draw the hair into the boar bristles, therefore creating tension an..
Dajuja Gold BrushRevolutionary DUAL-V nylon bristle design allows for increased grip and styling control as well as providing a guide to draw the hair into the boar bristles, therefore creating tension and providing shine.Size: 16 mm, 19 mm, 22 mm, 27 mm & 34 mmHair Type & Condition: For medium to coarse hair typesFeatures & Benefits: Heat activated nylon bristles soften when drying which helps r..
Dajuja Kingka BrushRevolutionary DUAL-V nylon bristle design allows for increased grip and styling control as well as providing a guide to draw the hair into the boar bristles, therefore creating tension and providing shine.Size: 16 mm, 19 mm, 23 mm & 34 mmHair Type & Condition: For fine to medium hair typesFeatures & Benefits: Heat Core Technology - Electro plated heat tube to stabilize the heat..
Dajuja Modu BrushModu series is Dajuja most versatile brush line that is ideal for all styling applications. 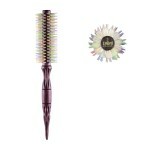 Modu is the most colorful line made from 1 piece of soft maple wood with white boar hair and nylon bristles. 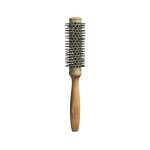 Why white boar hair you ask? 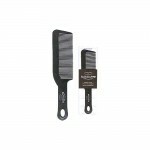 Dajuja stripped the color out of the boar hair to help soften the boar bristle to make it easier to glide and softer for finer hair. 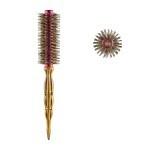 Size: 16 mm, 19 ..
Dannyco Circular "Dome Top" Thermal BrushDannyco Circular "Dome Top" Thermal Brush has a vented aluminum barrel and dome that offers maximum air circulation, and the Gold anodized aluminum barrel gets almost as hot as a curling iron.Size: 3.5 cm (Medium), 5 cm (Large) & 6 cm (Extra Large)Hair Type & Condition: For all hair typesFeatures & Benefits: "DOME-TOP" circular thermal brush Perfect for co..
Dannyco Circular "Porcupine" Vented BrushDannyco Circular "Porcupine" Vented Brush is a 100% boar bristle brush that is reinforced with ball-tipped nylon bristles and also features a ridged rubber handle.Size: Medium, Large & Extra LargeHair Type & Condition: For all hair typesFeatures & Benefits: 100% boar bristles reinforced with ball-tipped nylon bristles Ridged rubber handle for comfort Mediu..
Dannyco Circular Brush with Alternating RowsDannyco Circular Brush with alternating rows of boar bristles and ionic nylon bristles. 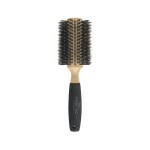 This brush is extra gentle to hair and scalp. 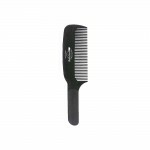 It is also equipped with a ceramic barrel, grooved rubberized handle, and a removable pick for lifting and separating.Size: Medium & Extra LargeHair Type & Condition: For all hair typesFeatures & Benefits: Retains and dis..
Dannyco Circular Oakwood "Pre-Softened" Boar Bristle BrushDannyco Circular Oakwood "Pre-Softened" Natural Boar Bristle Brush features 100% pre-softened, natural boar bristles that are anti-static and very gentle to hair and scalp. 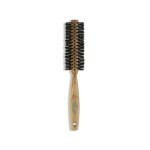 Circular oak wood handles have two rubberized finger grips for an excellent grip and lightweight handling.Size: Medium, Large & Extra LargeHair Type & Condition: For all..
Dannyco Circular Oakwood "Sponge-Covered" Boar Bristle BrushDannyco Circular Oakwood "Sponge-Covered" Natural Boar Bristle Brush is anti-static and very gentle to hair and scalp while the sponge-covered oak wood handle is comfortable and lightweight for handling.Size: Large, Extra Large & JumboHair Type & Condition: For all hair typesFeatures & Benefits: Natural boar bristles are anti-static and ..
Dannyco Circular Oakwood Natural Boar Bristle BrushDannyco Circular Oakwood Natural Boar Bristle Brush features natural BOAR bristles, which are anti-static and very gentle to hair and scalp, and a circular OAK-WOOD handle. 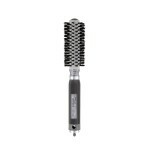 This brush is comfortable and easy to handle.Size: Medium, Large, Extra Large & JumboHair Type & Condition: For all hair typesFeatures & Benefits: Natural BOAR bristles are an..
Dannyco Circular Thermal BrushDannyco Circular Thermal Brush is a circular brush that features ionic nylon bristles, ceramic vented barrel with a grooved rubberized handle and a removable pick for lifting and separating.Size: Small, Medium & LargeHair Type & Condition: For all hair typesFeatures & Benefits: Retains and distributes heat more efficiently Seals the outer cuticle layer, eliminates fr..
Dannyco Eco-Friendly Bamboo BrushDannyco Eco-Friendly Bamboo Brush features an ergonomic, smooth, bamboo handle. This circular brush is also lightweight and has tourmaline infused bristles.Size: 2.5 cm (Small), 3.5 cm (Medium), 4.3 cm (Large) & 5.2 cm (Extra Large)Hair Type & Condition: For all hair typesFeatures & Benefits: Bamboo wood handle Lightweight Ergonomic handle with smooth edges Circul..